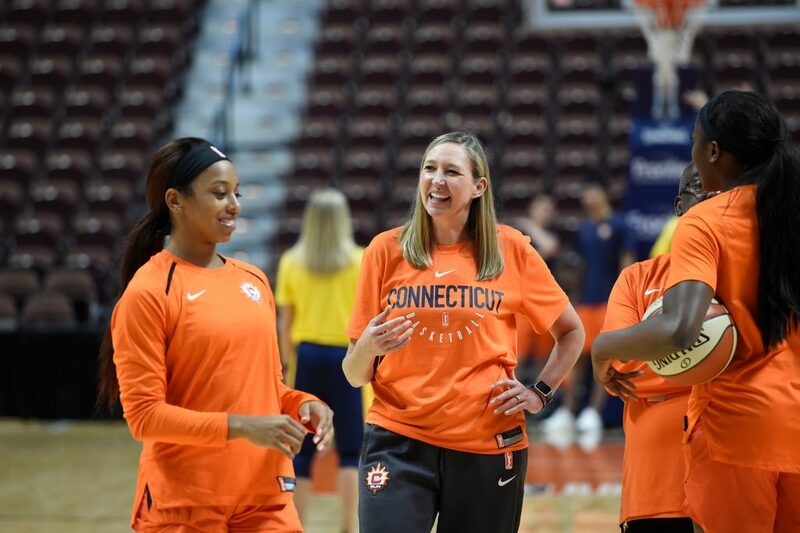 UNCASVILLE, Conn. (January 13, 2019) – The Connecticut Sun announced today that head coach and general manager Curt Miller has re-signed Brandi Poole and promoted Chris Koclanes to assistant coaches on his staff. Poole, who joined the franchise prior to the 2018 season, will work with the post players while Koclanes will focus on working with the Sun guards. Koclanes has spent the prior three seasons as the video and operations coordinator with the Sun, assisting the coaching staff with scouting, player development and team logistics. In addition, he has served as the video coordinator for the women’s basketball program at USC for the last four seasons. Prior to joining USC, Koclanes spent two seasons as the video coordinator at St. Joseph’s. He also had collegiate stops at Dartmouth and William and Mary. Koclanes is a 2010 graduate of Old Dominion. He will begin his full time duties with the Sun at the conclusion of the USC season. An assistant coach/recruiting coordinator at Texas Tech from 2015-2018, Poole was an assistant coach for Miller at both Indiana and Bowling Green for 13 seasons. She started her career as the Director of Operations for the WNBA’s Portland Fire in 2000 and was an assistant coach at West Virginia from 2000-01 prior to joining Miller’s Bowling Green staff in 2001. The Sun will open the 2019 WNBA season on Saturday, May 25 against the Washington Mystics. Game time at Mohegan Sun Arena is set for 7:30 p.m. Season tickets start as low as $22 per game and are available now. Visit ConnecticutSun.com or call 1-877-SUN-TIXX to purchase.